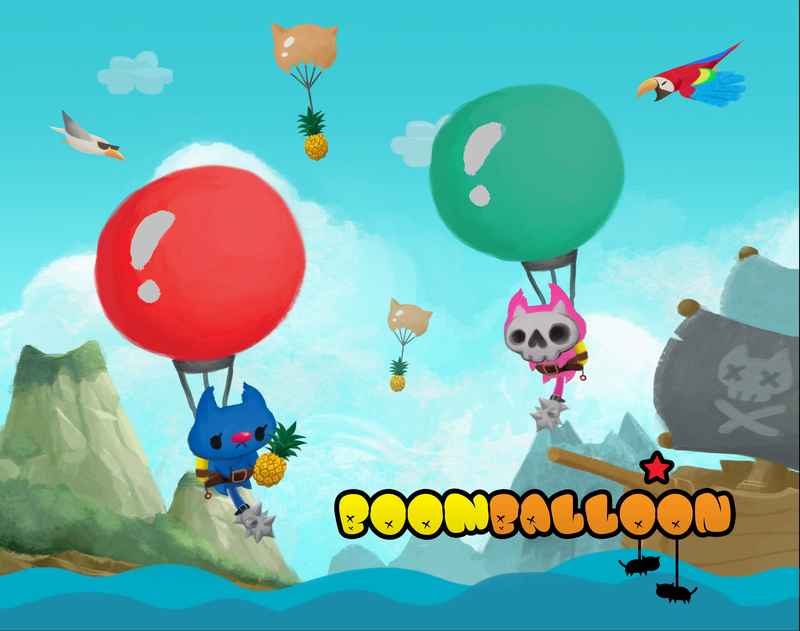 In Boomballoon you play as one of two battling pirate kitties trying to pop your rival's balloon, the only thing keeping them afloat above the scary water below. Your balloon is always inflating, so let out air periodically to dive in for the attack, collect a spiky pineapple to throw, get more manoeuvrability or avoid incoming birds! 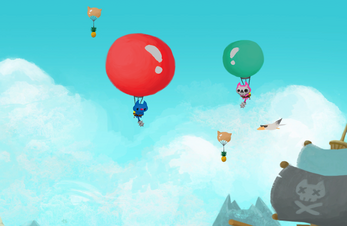 Don't let your balloon get too full, it can easily burst!